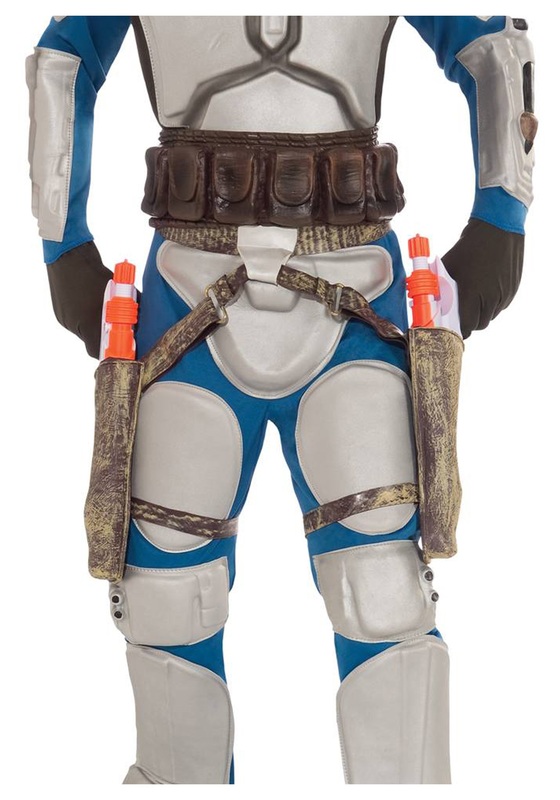 When you are the best bounty hunter in the whole darn galaxy, chances are you will be packing some heat. Whether you are working for Jabba the Hutt or Count Dooku, you need to protect yourself, your client, and -- more importantly -- your client's money. When you are Jango Fett, that heat is in the form of a holster with two blaster guns. These guns make real blasting sounds, too! Hey -- Jedi's aren't the only ones who can have cool sound effects! Of course, speaking of Jedi, stay far away from them. Engaging in a fight with a light saber wielding Jedi is never a good idea unless you have an obvious advantage. If you get distracted by a rampaging reek, you may just lose your head.